Ro: De ceva vreme tot cochetez cu ideea de a croșeta o poșetă/plic/gentuță minion. A trebuit să-mi scrie un client că-și dorește un asemenea produs pentru a-mi pune-n aplicare una dintre idei. Interiorul e căptușit cu un material din bumbac, cu un imprimeu haios cumpărat de la Minunatex. Am folosit microfibră și bumbac de la Schachenmayr, fire superbe și potrivite pentru un asemenea proiect. Ochii sunt lucrați cu fire de bumbac Alize. 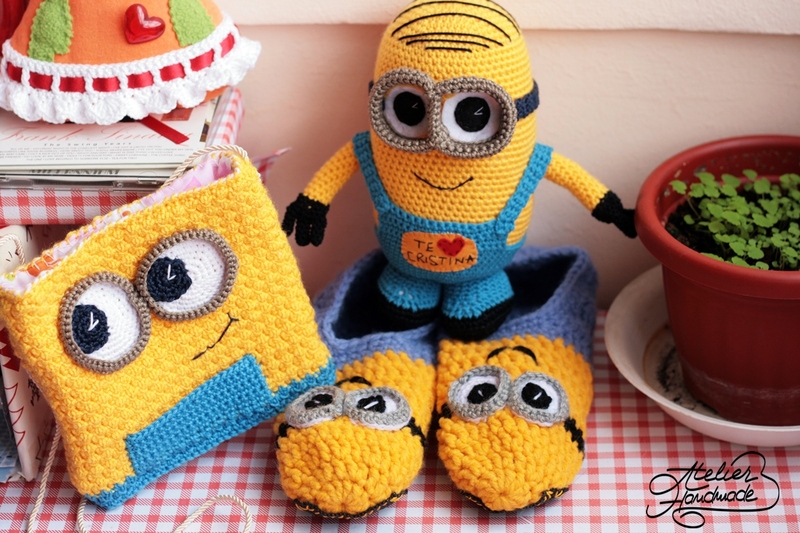 En: For quite some time I’ve been wishing to make a minion bag. It was only when a client asked for this type of product that I had the time to make it. I have a few other ideas. 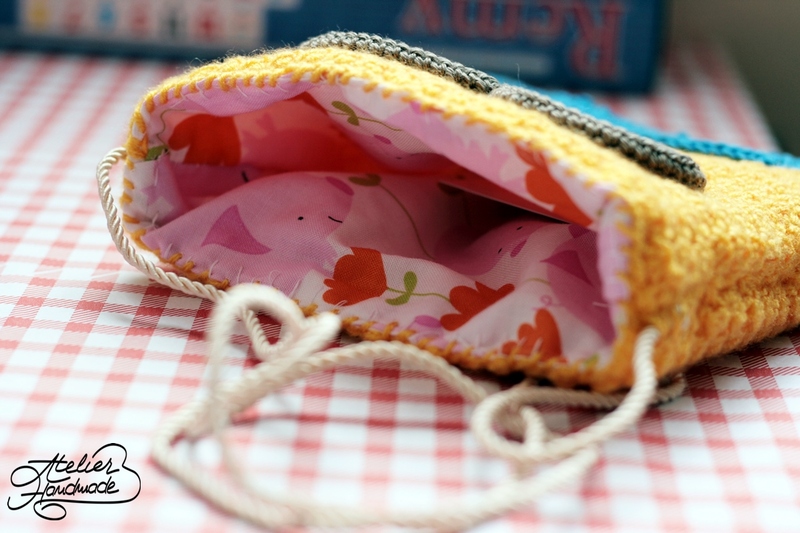 The inside of the purse is made of cotton fabric, with a very cute and lovely print. I used microfiber and cotton Schachenmayr Catania , great yarn for projects like this. The eyes are made with Alize cotton. If you’re interested, I can write down (and improve) the pattern. For further info, you can contact me or visit my Etsy shop. I love the minion bag . is there a pattern? My grandson would love it as a pillow . love the details n the stitch you used. Great bag. 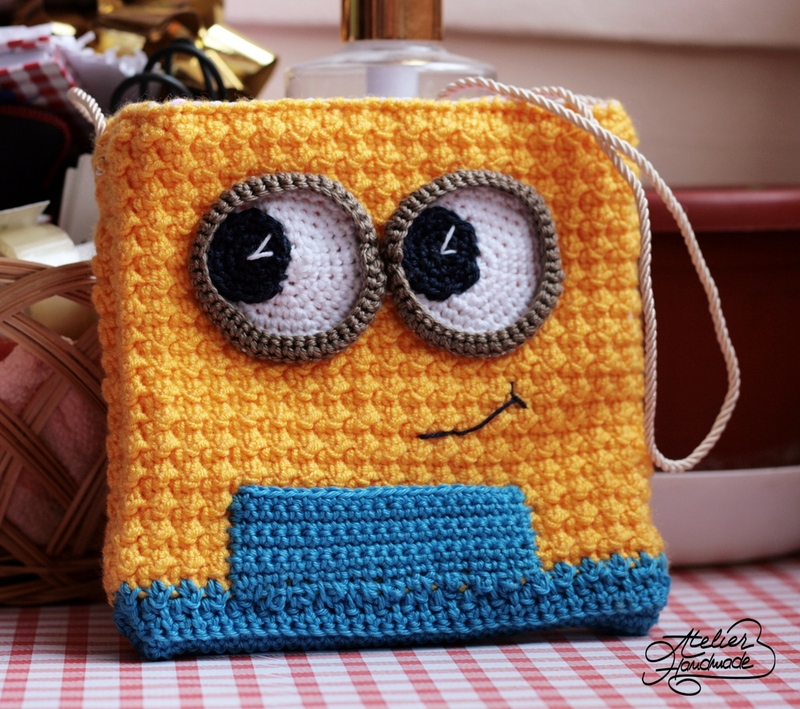 the pattern is online: https://atelierhandmade.com/minion-purse-pattern-now-online/ I made a few updates, but the stitch is the same.